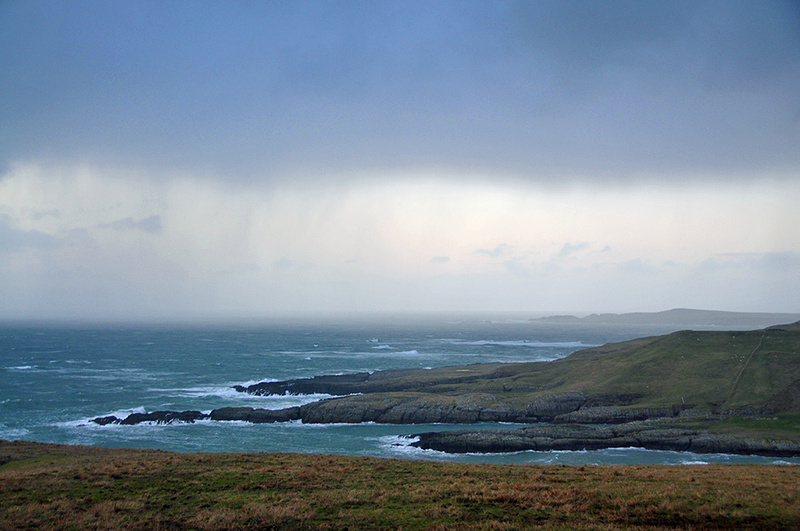 A view from a breezy April day on Islay, looking out across the sea from high above Kilchiaran Bay. A heavy shower is approaching from the west. This entry was posted in Cloudy Weather, Landscape, New Post and tagged Coull, Islay, Kilchiaran, Kilchiaran Bay, Machir Bay by Armin Grewe. Bookmark the permalink. Keep your photos coming…they are lovely, makes me want to be there….